According to various research data, the average vehicle is driven approximately 12,000 miles annually. Vehicles that the toe alignment just 0.17 inches from its specifications can drag the tires sideways for more than 68 miles in one year. When your vehicle is out of alignment, it can result in premature wear on the tire. With a properly aligned vehicle, you can get thousands of miles more from your tires. With a decrease in rolling resistance, you get better gas mileage. And, this decrease in rolling resistance happens when you have a complete alignment in all four wheels and the right amount of inflation. Do you notice your vehicle pulling to one side? Do you notice a vibration in the steering wheel? Do you find yourself always moving the wheel to ensure the vehicle stays straight? A total alignment will correct these handling issues. On top of that, road shock is greatly reduced when the parts of the system are properly aligned. 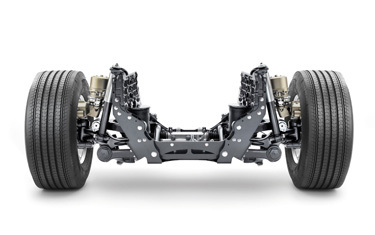 Our alignment process will also include an inspection of the suspension system, which means we’ll find worn parts before they become a costly issue.